It’s been a busy break. Tonight, the kids and I were more than a little overly tired and giddy as I’ve been using Power Tools and Stud Finders and Laser Levels to hang things like shelves and curtains in their rooms. Both spaces having been thoroughly mucked out and straightened over the course of the week. After I got Victoria’s pink shelf hung tonight, she was sorting and arranging her gee-gaws. I was handing her things. Thad was sitting on her bed alternating between his own world (where he was pondering the meaning of the universe) and the world in which Victoria and I were present (where he was bombing her with his Clark Kent and Superman stuffed Sonic tater tot toys). As a tot flew across the room, I reached into a basket and pulled out a heap of pink and white ribbons all strung together like a wreath. “Oh. . .THAT was Mrs. Mary Linda,” I said as I stared at the array of pink and white ribbons trying to figure out exactly when and where Mary Linda ended up with THIS MUCH pink ribbon. 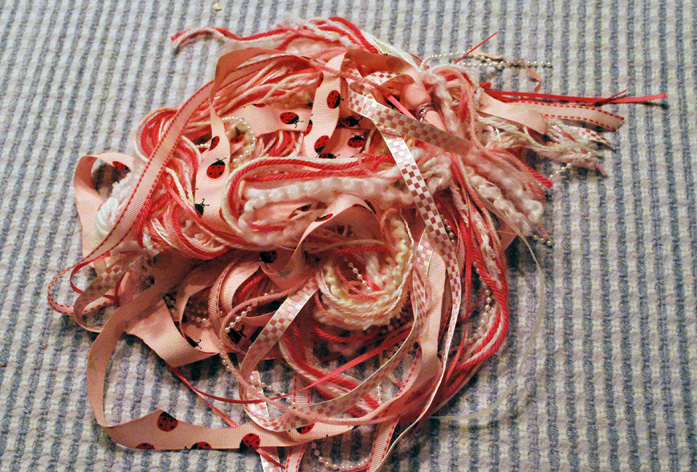 Actual pile 'o pink ribbons. . .notice the lady bugs? Evidently the portal between his universe and ours must not have good acoustics. 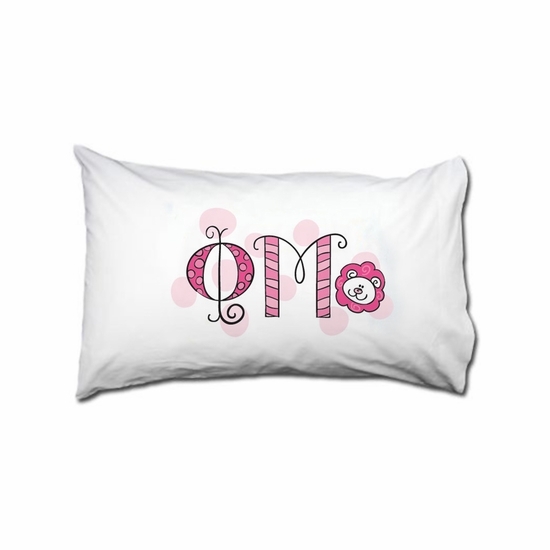 Either that or he has NO schema for Phi Mu but DOES have some for five and mute. Or he just trolls between the two worlds waiting for something as interesting as five mute lady bugs to catch his attention.